We provide semi finished Bopp jumbo roll for slitting and cutting for semi manufacturer in different size as per customer needs. You can cutting the Bopp jumbo roll for slitting and cutting into finished smaller rolls. Like 48mmx50m, 48mmx100m, 48mmx990m, 72mmx100m etc. And you can use the paper core and carton with your company brand or logo printing. Excellent adhesion and Stable quality. Ideal for sealing of cartons, merchandise boxes. Each roll of Bopp jumbo roll for slitting and cutting, with a bar-code. We can trace the jumbo roll. If there is one roll have quality problem, we can quickly find out who produced it, what time, which machine, In this way we can fin the cause immediately and solve the problem. We produce Acrylic and BOPP film by ourselves, so we can control and guaranteed the quality of adhesive tape. With our products, You can assure your brand quality stability. Lead Time: 15 - 20 DAYS after receive the deposit. passed the certifications, such as ISO 9001:2008 & SGS. Working time: 8:30am - 7:00pm, Monday to Friday (UTC+8). Good after-sale service offered, please get back if you have any problem. Good quality control in production process. High production capacity, OEM is welcome. 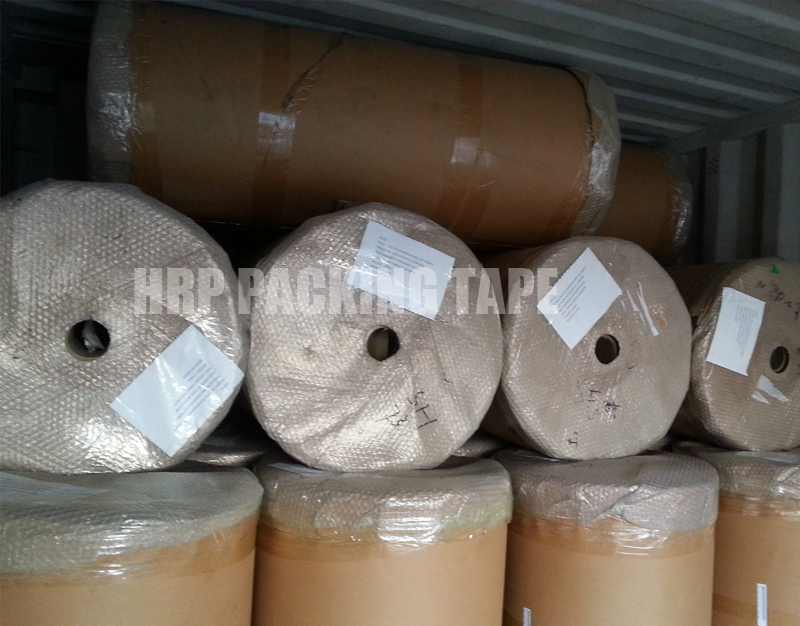 We have complete relevant products of adhesive tape for your selection.